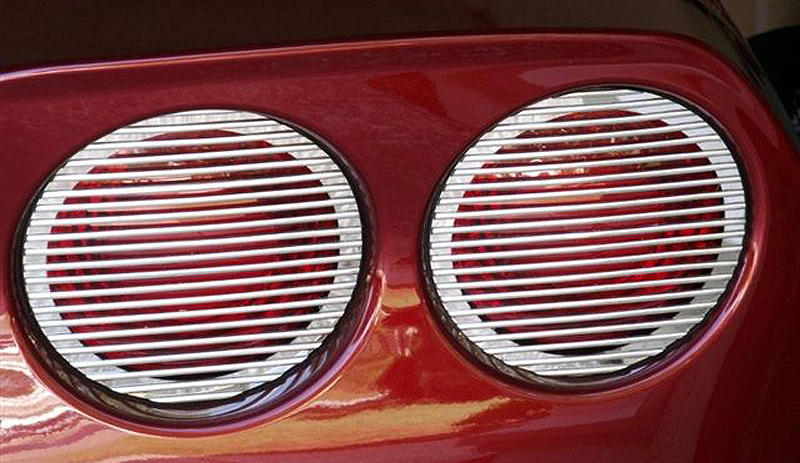 This 4-piece tail light billet grille set is made from premium 304-polished stainless steel that will NEVER tarnish, rust, or pit. 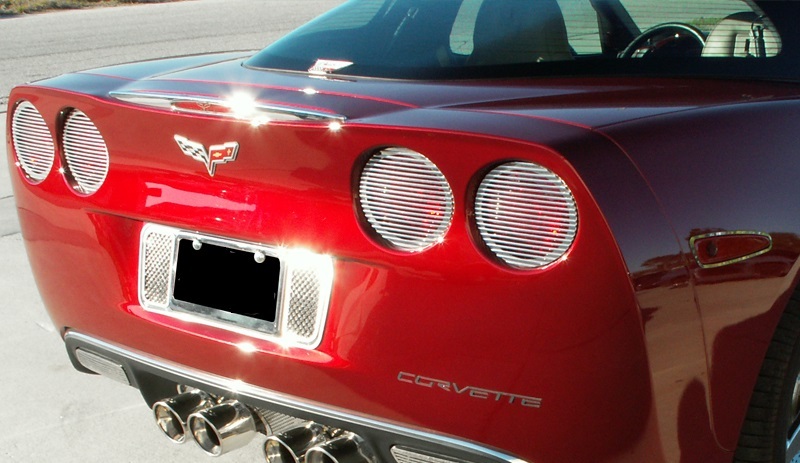 Easily gives your 2005-2013 C6 Corvette's rear end a style of its own - while also letting light pour through for high visibility. Easy peel and stick application. 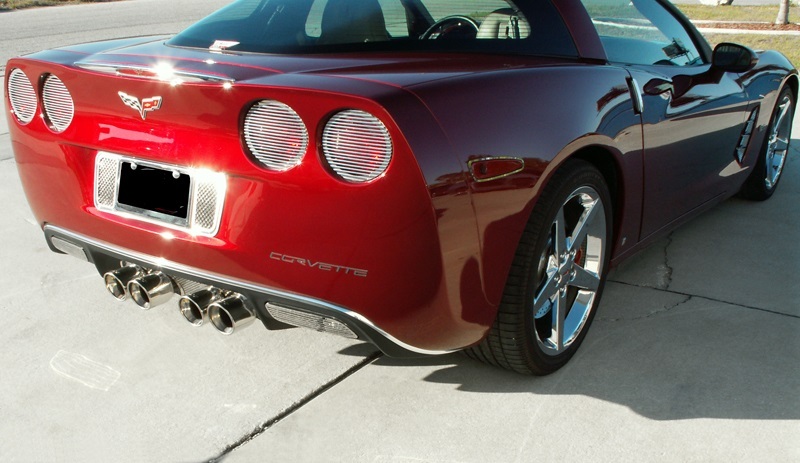 Fits all C6 Corvettes including Z06/ZR1 and Grand Sport model.